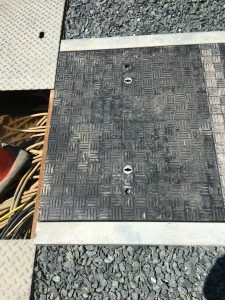 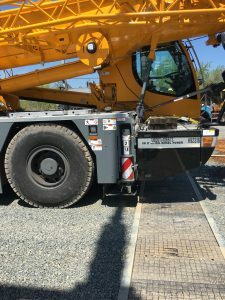 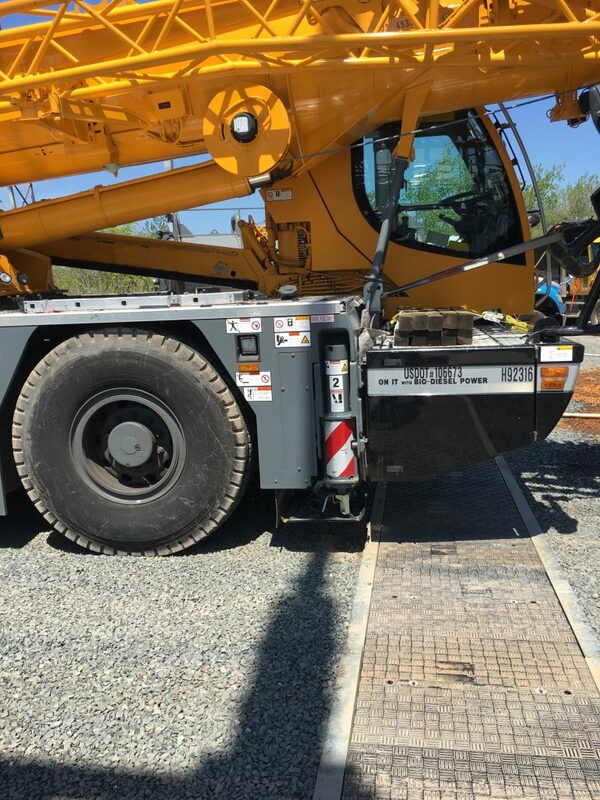 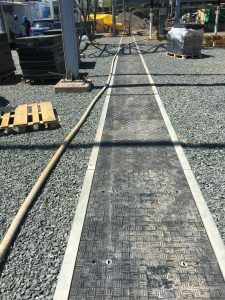 Requirement: A utility company in the North East needed a light weight cable trench cover that could be removed by 2 men safely without back injury. 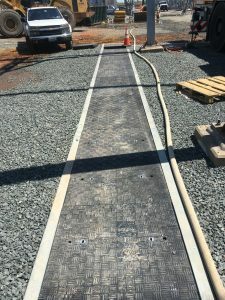 The lids also needed to be impervious to salt, chemicals, non-conductive and slip resistant. 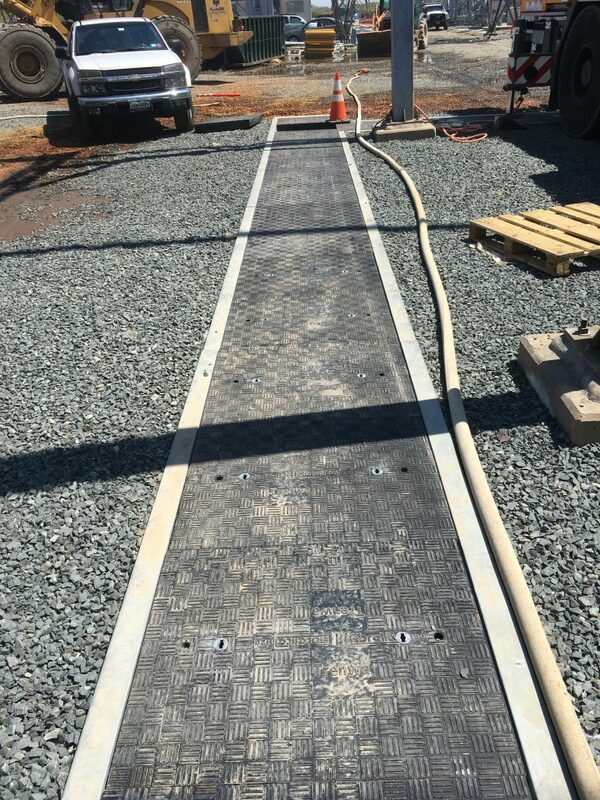 Solution: Trenwa provided high strength, light weight, Fibrelite composite HS20 covers in our BHF series road crossing cable trench. These covers only weigh 85 lbs so they are easily removed by 2 men using the FL7 lifting tool.